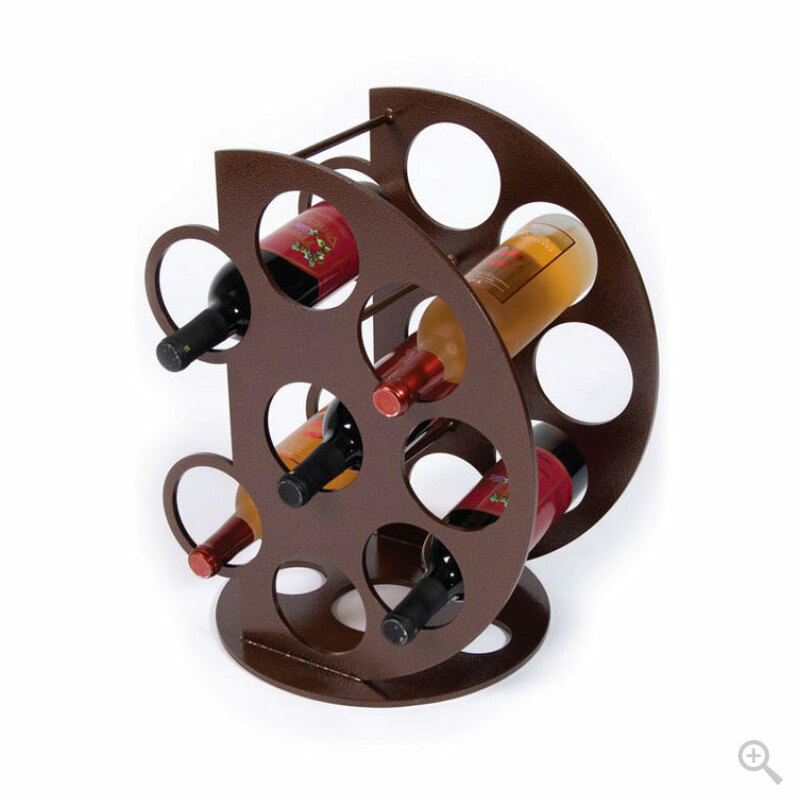 The Orb wine rack features a compact design perfect for a countertop solution. 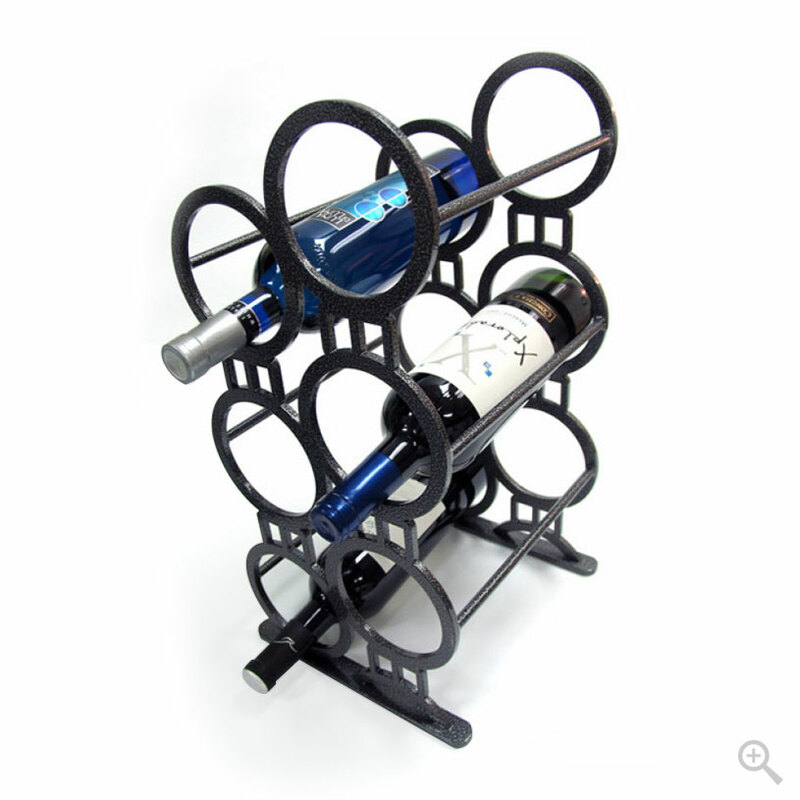 The rack is fabricated of 1/4″ steel and powder coated in a weathered bronze finish. 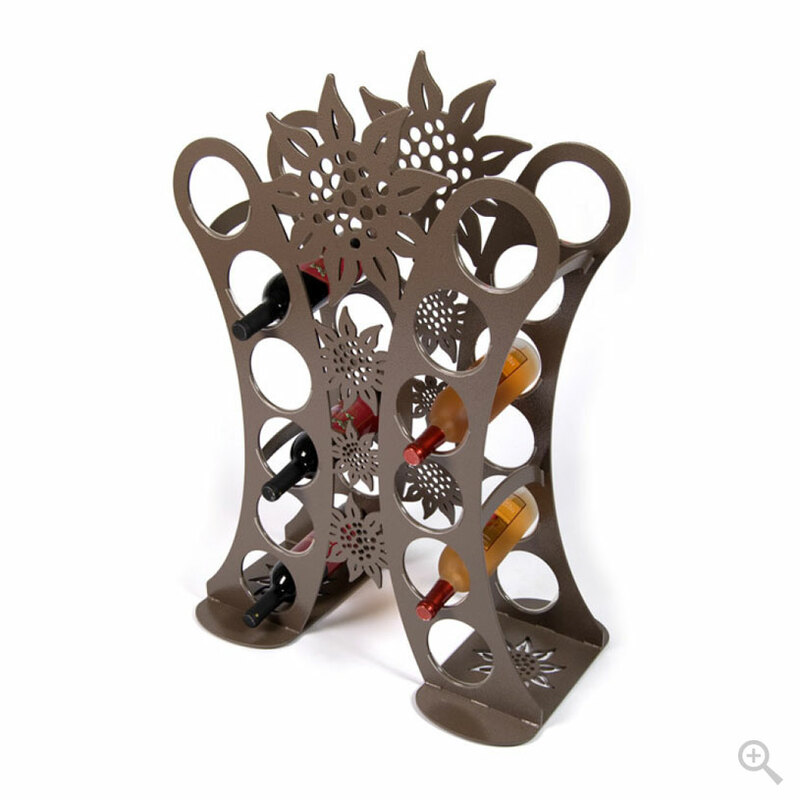 Holds eight bottles.